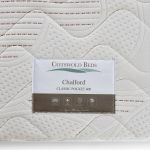 Our Chalford 600 double mattress brings you the latest in sleep technology from Leggett and Platt. 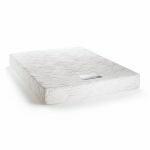 Combining the best of foam encapsulation, and innovative 15cm pocket springs, this double mattress works double duty. The pocket springs, each wrapped in their own fabric casing to prevent noise and help them last longer, each give independent support, moulding to your body shape. 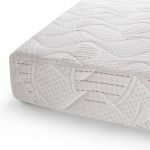 The springs are then encased in a high resilience foam core, which adds to the comfort, and give the mattress extra support across the entire surface. 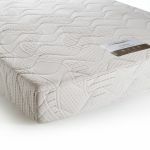 This edge to edge support not only protects your mattress from damage, but also makes the sleeping surface feel larger. To help you sleep even easier, we've topped the mattress in a high quality micro-quilted knit fabric, for a luxurious, snuggly feeling. Cosy up on this mattress, and you'll be off to the Land of Nod in no time at all!